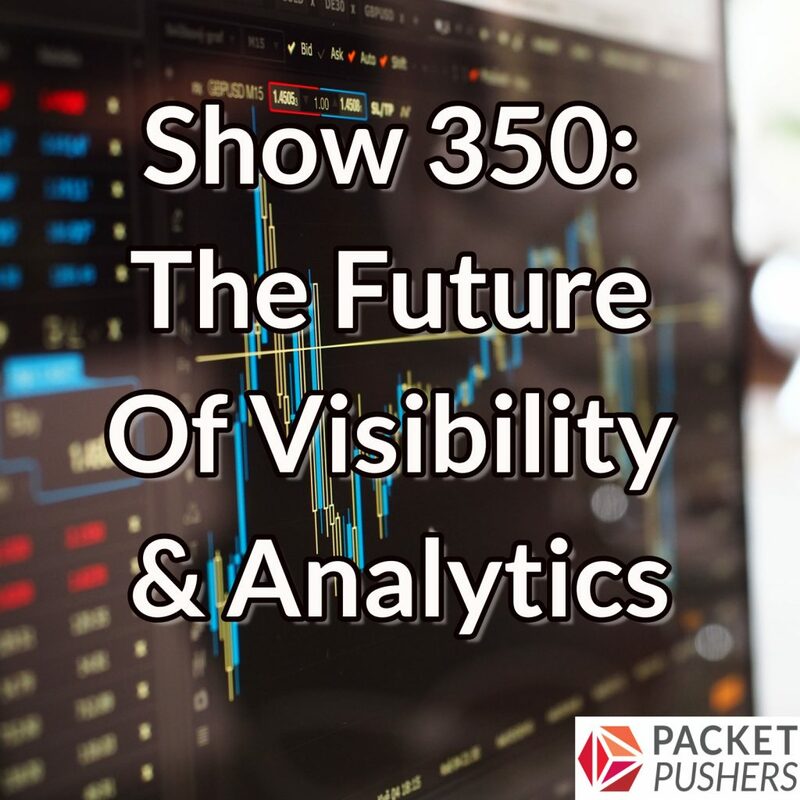 Today on Packet Pushers, we consider the future of visibility and analytics. In the world of 100Gbps interfaces, it doesn’t seem possible to capture every packet on the network. Where would we store it all? And of course, we don’t. We use visibility fabrics and filters to send specific traffic flows to specific tools. And yet…we still want to make sense of what’s on the wire. EVERYTHING on the wire. So, how do we do that? What does that look like? In this conversation, we consider on-box capture, custom ASICs, programmable chips, distributed data stream analysis, and real-time interpretation of what’s being seen. The world of the future is proactive, not reactive. We also consider how to integrate network telemetry with telemetry from the rest of the network stack. If the network stack is really just part of the whole IT stack, then doesn’t it make sense that network telemetry is interpreted in the context of all data center telemetry? It seems that data center operators would come to the most accurate conclusions about data center performance only in that sense. But that’s a really hard problem to solve. Anyone got some VC money? This show was recorded on site at Cisco Live US 2017. Our guests for this conversation are Jordan Martin and Ron Fuller. Jordan is a CCIE and principal consultant of data center technologies for Core BTS. Jordan also co-hosts The Network Collective Webcast and blogs at jordanmartin.net. Ron is also a CCIE (two, even!) and is a field engineer at VMware focused on NSX. Ron blogs at CCIE5851. VMware’s future:net is a networking-focused, invitation-only event being held during VMworld this August. You’ll hear from industry leaders and expert practitioners about new and emerging technologies that will transform the network. Request your invitation at vmware.com/futurenet.